One of my biggest leaps in understanding came when I realized that “all MOOCs are NOT created equal,” and in fact, there are huge differences between xMOOCs and cMOOCs. The Making Learning Connected MOOC (CLMOOC) was especially influential in my thinking. It came at a time when I was solidifying my relationship with the National Writing Project and finding a home there. 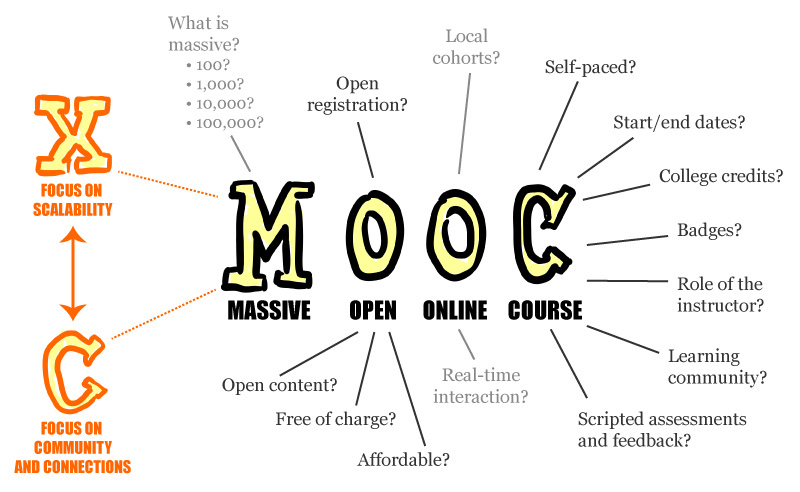 If every MOOC were like CLMOOC, I’d spend all my time there (and in fact, parts of CLMOOC, especially the relationships we formed, have lived on, which is a real testament to its power). The CLMOOC facilitator team has been working hard on a collection of resources that synthesize what we learned in designing and going through CLMOOC together. That collection has now been published, and I am proud of that work as well. I look forward to future MOOC experiences. Like all learning experiences, I will try to choose carefully and will exercise my learner independence to come or go as meets my needs. I hope others will do the same.